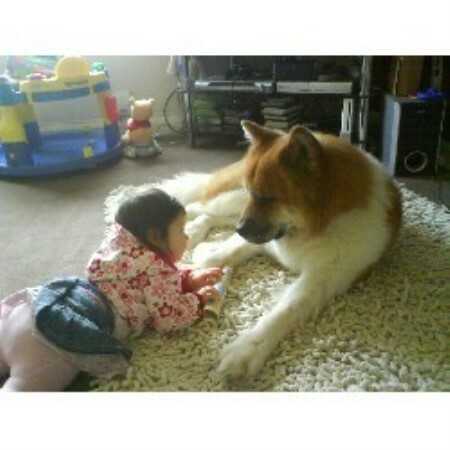 Georgous long haired red and white akita available at stud, Our family pet, Great with children, as i have a two year old. He is a proven sire, sireing 4 wonderful litters to date. 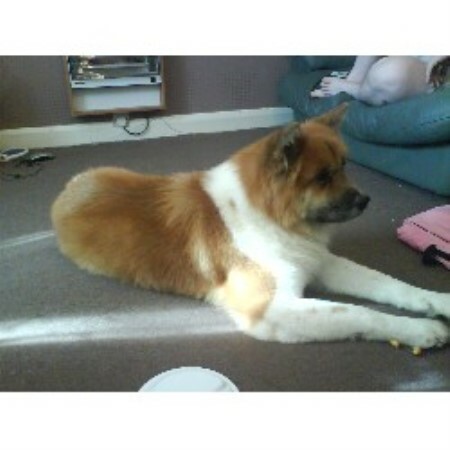 He has a wonderful temperament and passing it off on to his puppies. 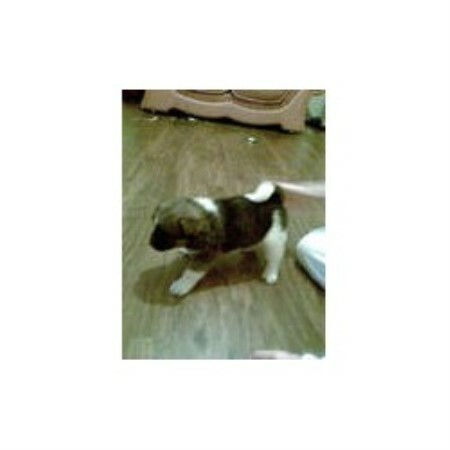 K.C reg'd with 5 gen pedigree with riylyn and nikasuko lines, We also have his hip scored.